When Paige first arrives at the ranch, she’s experienced so much trauma that she’s lost her appetite. She’s not starving herself purposefully, she doesn’t have an eating disorder per say, but she’s definitely lost her appetite to such an extreme point that she’s physically weak. Her narration speaks about “choking down” food. “Tolerating” milk. Eating, and enjoying food like she used to, has become a chore at best, and a form of torture at worst. But Anna has a goal, and that’s to make Paige well. Anna loves to cook, and takes pride in everything about her kitchen, from her fried chicken to her strawberry shortcake. She doesn’t push Paige to eat, but she continues to pile mashed potatoes on her plate night after night. Once Paige starts eating, she starts physically feeling better, which makes her mentally feel better as well. I’m a firm believer in the mind/body connection. If we don’t nourish our bodies with proper food (from all the food groups) our brain is functioning at a deficit. When Paige starts to fill out and get healthy she begins to spark back to life. Trauma effects our bodies in many ways. For Paige, all of her guilt was turning her into a shadow of her former self. Part of the journey to get back to who she once was was embracing nourishing food again. Hearty, home-cooked meals are Anna’s specialty, so it shouldn’t be too surprising that several nights she prepares this delicious Fried Chicken recipe made with buttermilk for her, Paige, Gus, and Jake to enjoy. 1. Toss the chicken, buttermilk and 1 teaspoon salt in a bowl. Cover and refrigerate for 1 hour. 2. 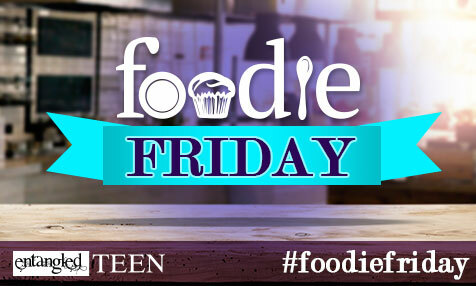 Heat 1 inch of vegetable oil in a large deep skillet over medium-high heat until a deep-fry thermometer registers 360°F. 3. Mix the flour, paprika, 1/4 teaspoon pepper and the garlic powder in a shallow bowl. Remove the dark meat from the buttermilk, shake off the excess and roll in the flour mixture. Shake off the excess flour, place in the hot oil and fry, turning occasionally, until golden brown and cooked through, about 15 minutes (adjust the heat as needed). Drain on paper towels. 4. Reheat the oil to 360°F to repeat the process with the chicken breasts and wings, frying for about 15 minutes. Serve hot. Meals at the 8 Hands Ranch wouldn’t be complete without a delicious dessert. 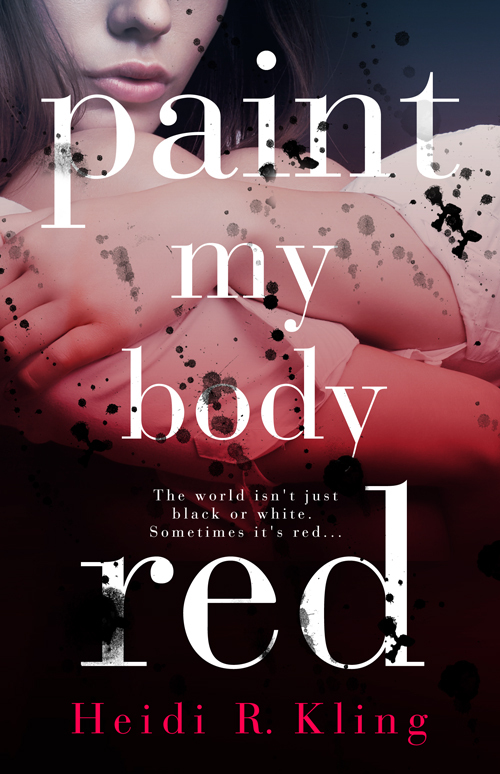 Anna loves making things with strawberries from homemade jam to Strawberry Shortcake, which should come as no surprise to anyone who has read Paint My Body Red. It’s, incidentally, also the same recipe that Heidi’s grammy used to make when she was little. 1. Heat oven to 425°F. In large bowl, mix strawberries and 1/4 cup sugar; set aside. 2. In medium bowl, stir Bisquick mix, milk, 3 tablespoons sugar and the butter until soft dough forms. On an ungreased cookie sheet, drop dough into 6, equally proportioned spoonfuls. 3. Bake 10 to 12 minutes or until golden brown. Meanwhile, in small bowl, beat whipping cream with electric mixer on high speed until soft peaks form. 4. Split warm shortcakes; fill and top with strawberries and whipped cream. Serve and enjoy! They think I’m next. That I’ll be the seventh kid to step in front of a train and end my life. With the rash of suicides at my school, Mom’s shipped me off to my dad’s Wyoming ranch for “my own safety.” They think I’m just another depressed teenager whose blood will end up on the tracks. They don’t know my secrets…or what I’ve done.